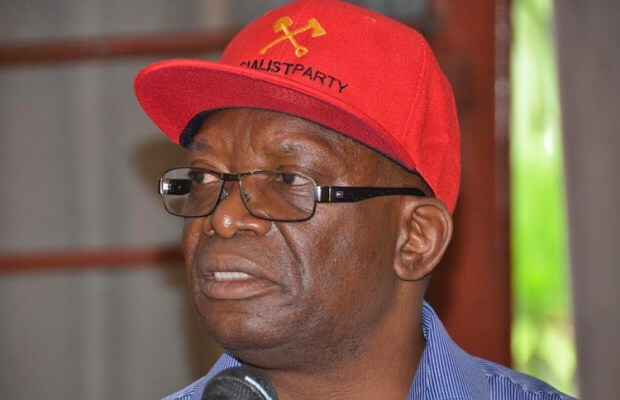 Socialist Party interim General Secretary Cosmas Dr Musumali has stated that former Post News owner, Fred M'membe, has been playing a role on the sidelines for the Socialist Party for some time and that he is imminently going to join the party formally. Addressing Journalists on Wednesday on the planned launch of the party that was announced in November last year, Dr Musumali said the Socialist Party would officially be launched this Saturday at King Fisher Court in Lusaka’s Jesmondine residential area. “Comrade Fred M’membe is a member of the Socialist Party. This is a comrade who for years has always worked in the background. There is no political party in Zambia where he has not participated. He was there at the founding of the MMD with Mbita Chitala, Akashambatwa [Mbikusita Lewanika] and others. The National Party, he was part of it. Let’s not forget that he also supported the PF; he worked closely with Mr Sata, but he was aware of his role as a journalist,” Dr Musumali said. And Dr Musumali says his party will shock the world with a magnificent performance in the 2021 general election. He said members of the party had done so much grass root mobilisation that the party was known all over the country. Dr Musumali warned critics of the party against underrating its impact, saying it was there to offer political and economic solutions people were looking for.